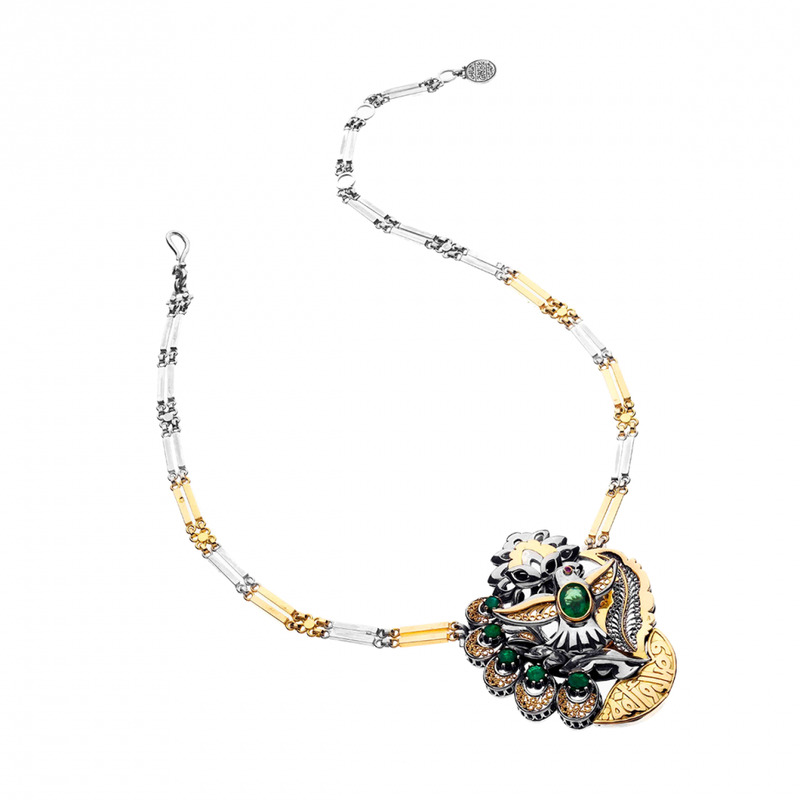 "A location, an attitude. 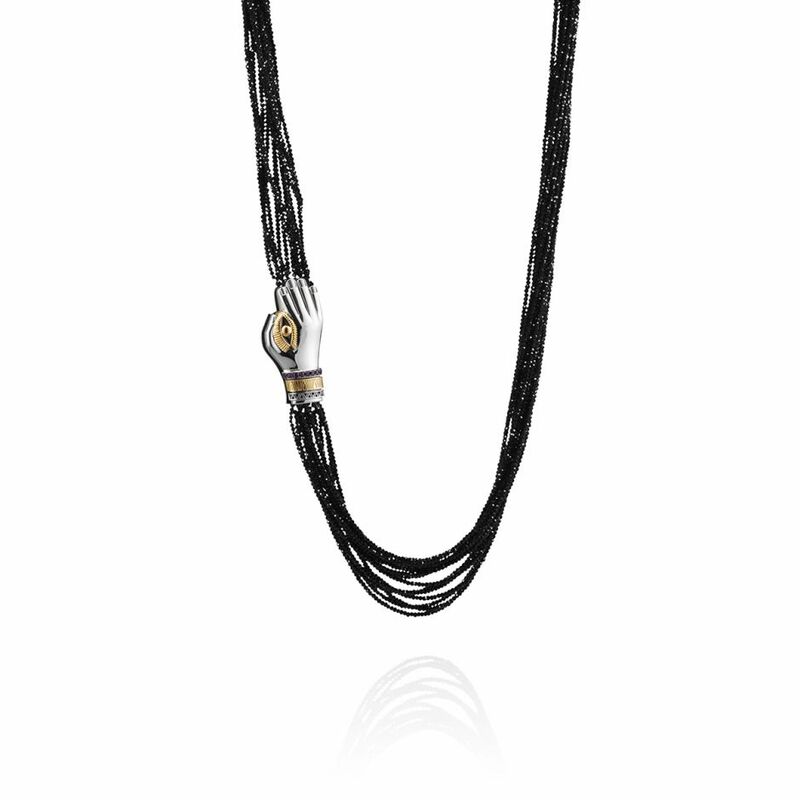 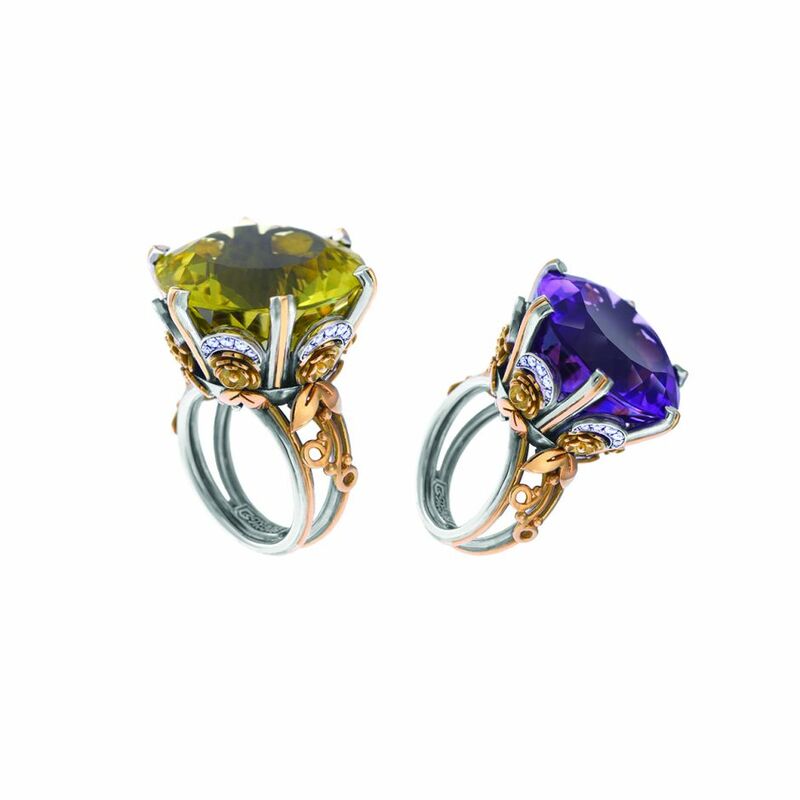 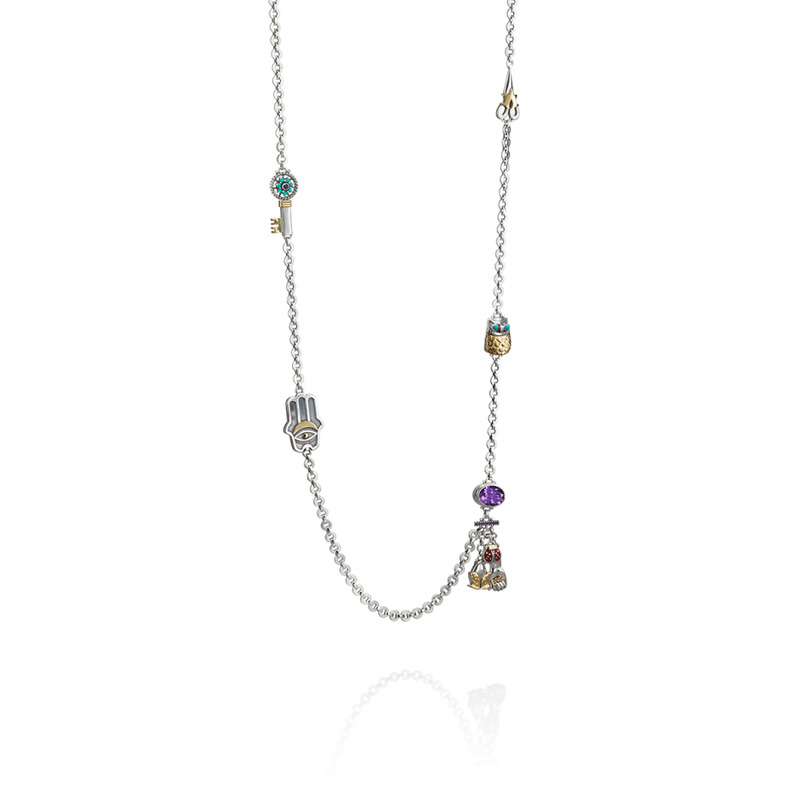 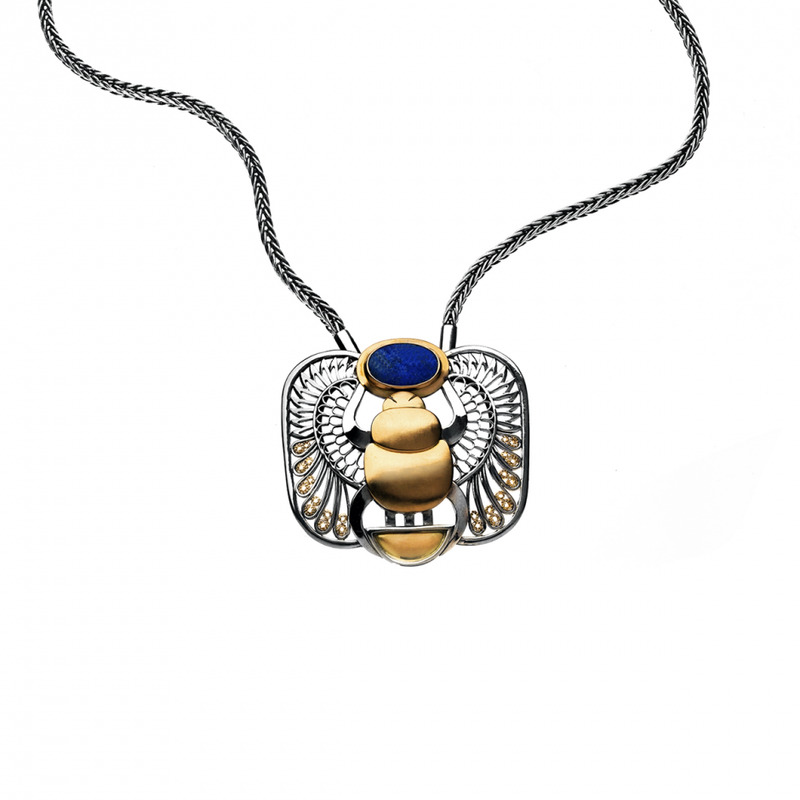 Created by Egypt's fine jewellery house of provenance, Azza Fahmy. 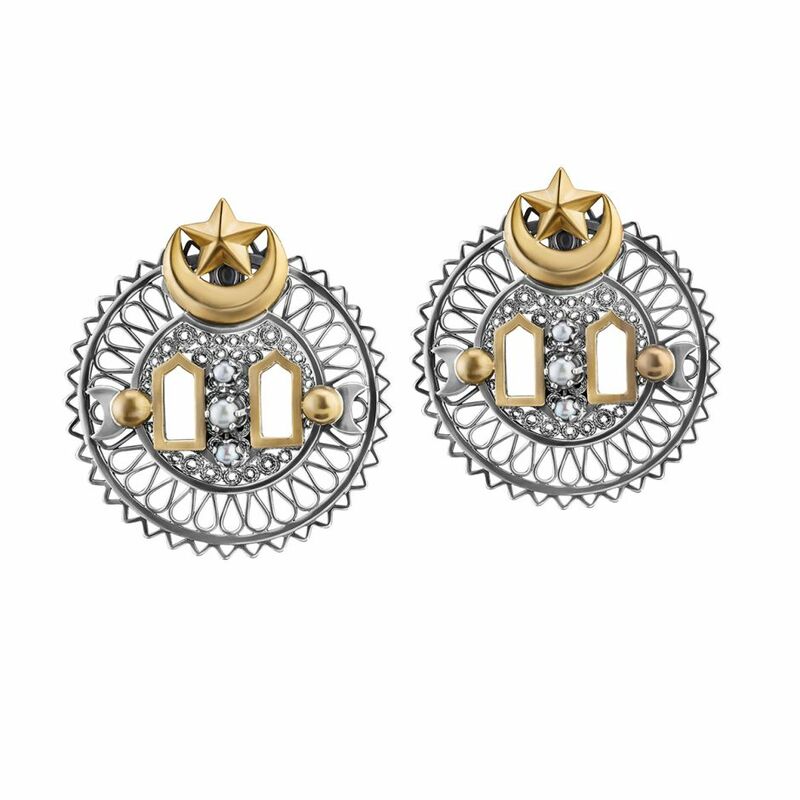 An Exclusive society for those who believe that life's true luxury is the ability to explore our existence"
18kt Gold and Sterling Silver earrings adorned with 0.36gm Pearls. 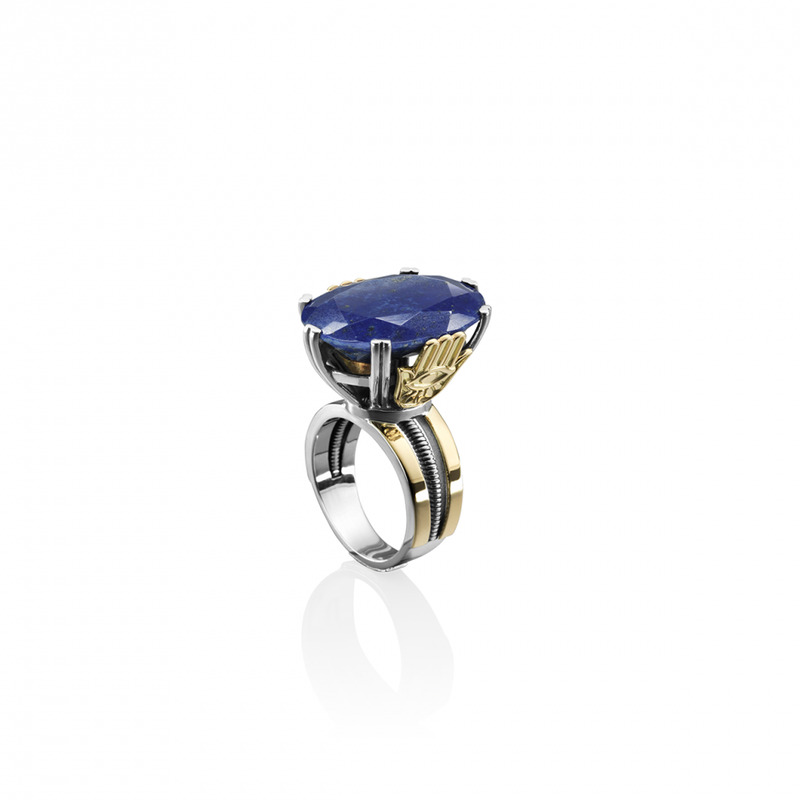 Also available in Blue Topaz. 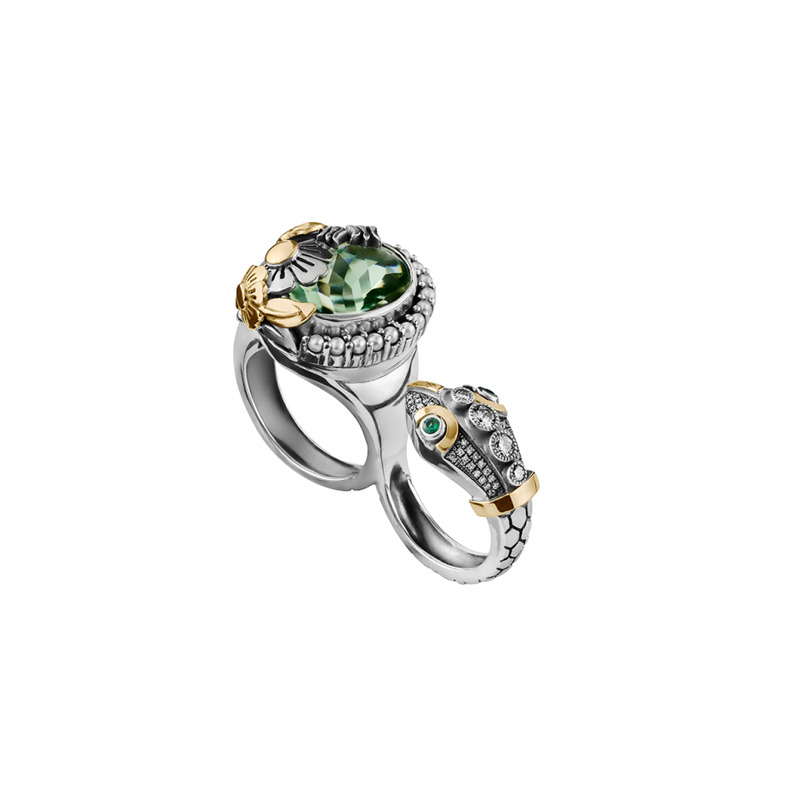 18kt Gold and Sterling Silver double finger ring adorned with 10ct Green Amethyst, 0.10ct Emerald, 0.36ct Diamonds and 0.17gm Pearls. 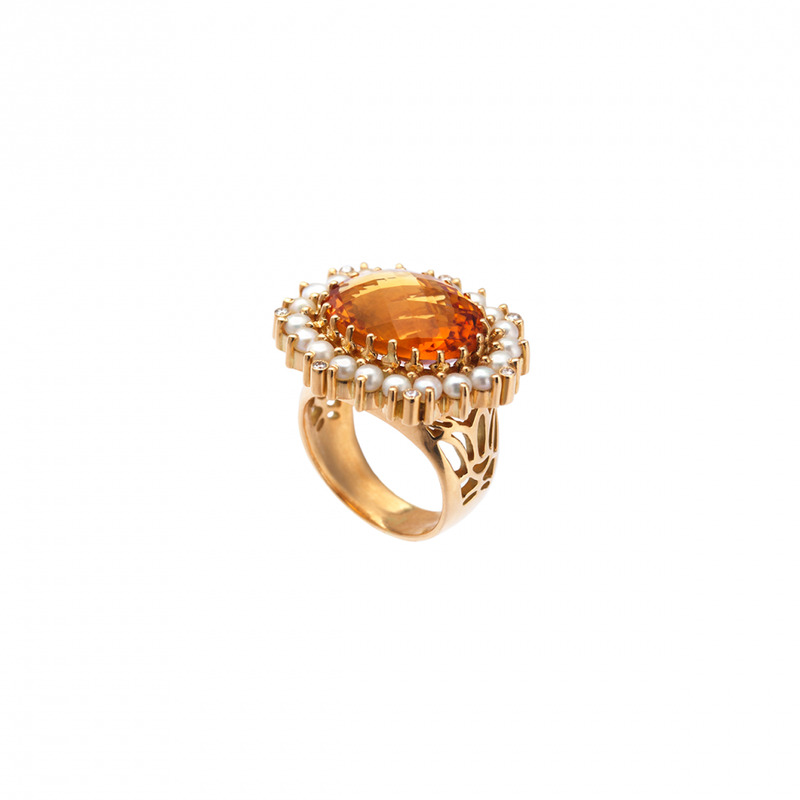 An 18 kt gold and silver Victorian ring adorned with 0.47ct pave’ Diamonds. 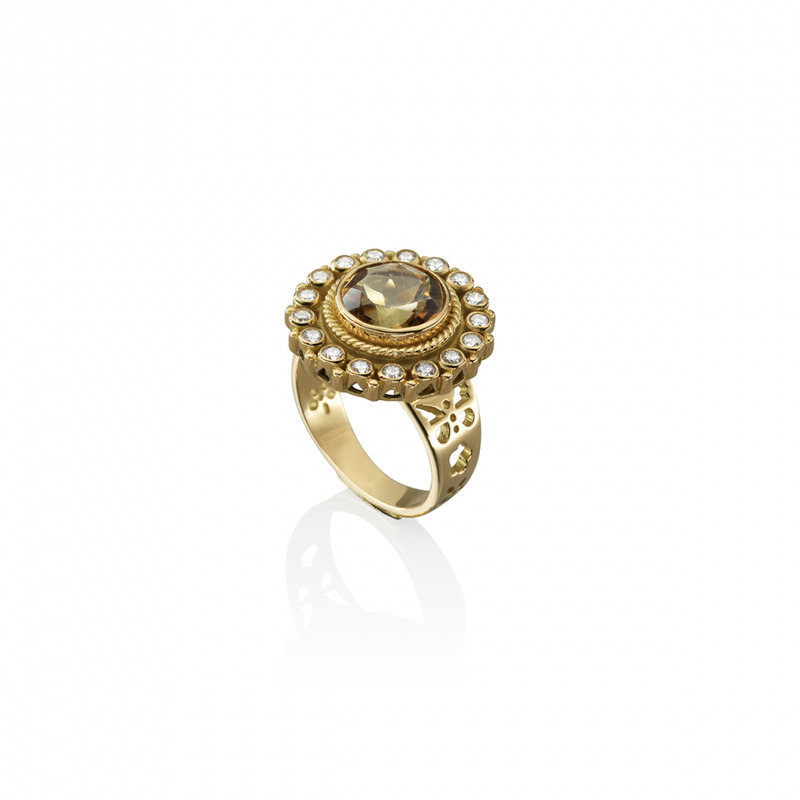 A lotus inspired 18 kt gold ring, adorned with Diamonds and Pearls. 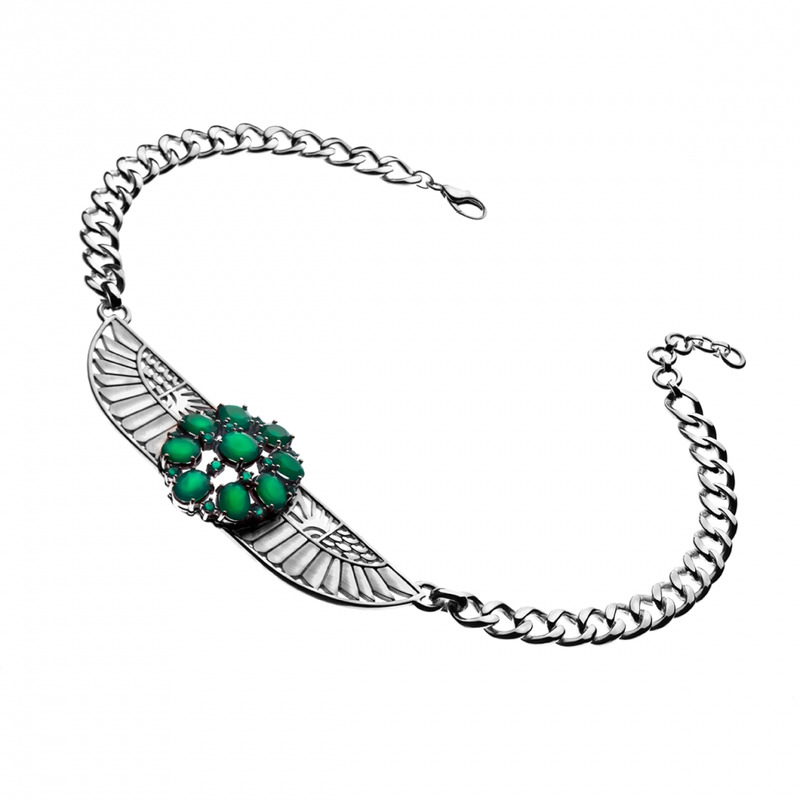 A Wing Necklace adorned with a cluster of center-stones, in sterling silver.